Teledyne Marine has announced the launch of a new range of GigE underwater cameras for ROVs (Remotely Operated Vehicles), with the first units being provided to Seatronics for standard fit on their new VALOR ROV. The VALOR (Versatile and Lightweight Observation ROV) is the first vehicle in its class to standardize on high performance industrial cameras. 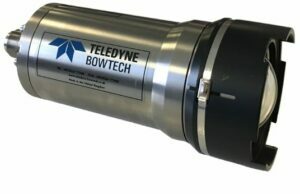 Leveraging the latest in CMOS technology from Teledyne Dalsa, developers of high performance digital imaging and semiconductors, the new range from Teledyne Bowtech brings this next generation of sensors under water. Using Global Shutter technology, Bowtech’s GigE Vision cameras allow transmission of sharp, high-speed video images and related control data over ethernet networks with almost zero latency. With frame rates of up to 862 frames per second achievable (depending on model selected) video is streamed in the uncompressed RAW format such that each frame can be paused and viewed individually, eliminating the need for a separate digital stills camera & allowing vehicles to move faster, reducing the time taken to complete visual inspections. 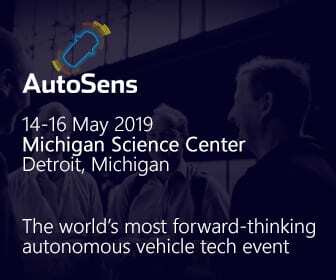 The high performance, coupled with a well-documented software development kit, will allow developers to advance applications such as automated control, machine learning and photogrammetry, adding value through enhanced resolution, better control and faster operations.